Like placing a bet on an unproven contender in some sort of just-barely-passing-for-athletic competition (if only there was an easy metaphor for this), HBO has granted a second season to Luck, the David Milch-written, Michael Mann-directed horse-racing drama—which has only aired one episode to date. 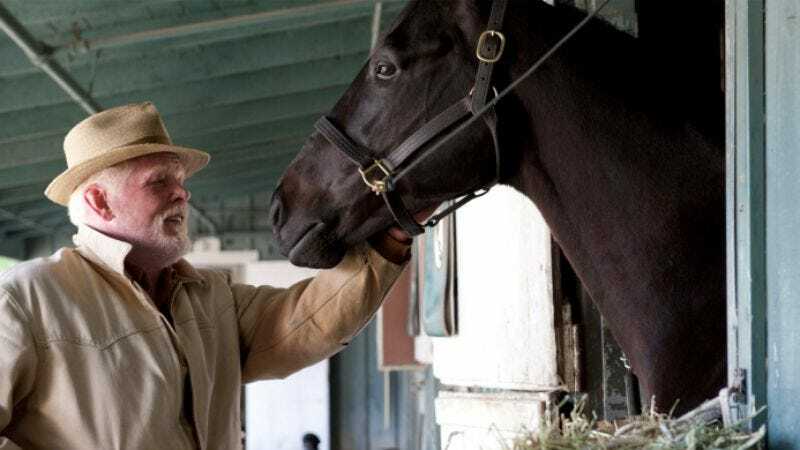 According to a press release from HBO, approximately 3.3 million viewers tuned in for the network’s two airings of the series’ pilot, a number that’s high enough to warrant another 10 episodes of hot, at-the-track action and scenes of Nick Nolte singing the praises of horses to other horses—though the swell of confidence in Luck could just as easily be attributed to the series’ top-notch cast (led by Nolte and Dustin Hoffman) and Thoroughbred behind-the-scenes pedigree. Or maybe network brass is just looking forward to a second round of hilarious horse jokes at the expense of what’s otherwise a sterling piece of television. In which case, they’ll hear neigh-ry a whinny of disapproval from us. Horses!